Deferred interest, also known as negative amortization or NegAm, is an amortization method in which the borrower pays back less than the full amount of interest owed each month. The shorted amount is then added to the total amount owed. Deferred interest or Negative amortization only occurs in loans in which the periodic payment does not cover the amount of interest due for that loan period. The result of this is that the loan balance (or principal) increases by the amount of the unpaid interest. The purpose of such a feature is to increase affordability, or add payment savings and payment flexibility to a loan. Neg-Ams or deferred interest also have what is called a recast period and recast principal balance cap based on Federal and State legislation. The recast period is usually 60 months (5 years). The recast principal balance cap (also known as the "neg am limit") is usually up to a 125% increase of the amortized loan balance over the original loan amount. Some mortgage programs offer lesser recast periods and principal balance caps; but cannot issue loans that exceed their state and federal legislated requirements under penalty of law. All NegAM or deferred interest home loans eventually require full repayment of principal and interest according to the original term of the mortgage and note signed by the borrower. Most loans only allow NegAM to happen for no more than 5 years, and have terms to "Recast" (see below) the payment to a fully amortizing schedule if the borrower allows the principal balance to rise to a pre-specified amount. 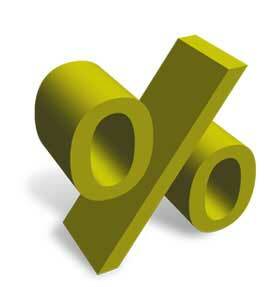 Start rates on negative amortization or minimum payment option loans can be as low as 1%. 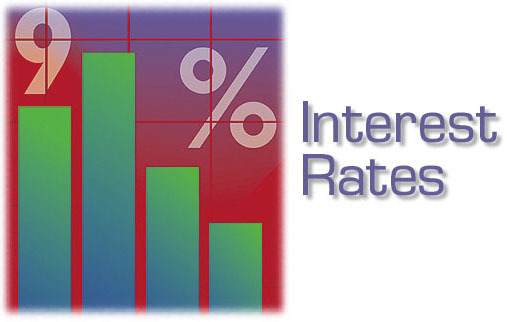 This is the payment rate, not the actual interest rate. The payment rate is used to calculate the minimum payment. Other minimum payment options include 1.20% or more. Annual Cap - percentage rate of change in the NegAm payment. Each year, the minimum payment due rises. Most minimum payments today increase at 7.5%. Typically after the 5th year, the loan is recast to an adjustable loan due in 25 years. This is for a 30 year loan term. Newer payment option loans often offer a 40 year term with a higher underlying interest rate. Life Time Cap - the maximum interest rate allowed after recast according to the terms of the note. Generally most NegAm loans in the last 5 years have a life time cap of 9.95% to 11.95%, depending upon the specific mortgage program. Stop - end of NegAm payment schedule. NegAM or "deferred interest" loans today are mostly straight Adjustable Rate Mortgages (ARMs), meaning that they are fixed for a certain period and adjust every time that period has elapsed; e.g., one month fixed, adjusting every month. The NegAm loan, like all Adjustable Rate Mortgages, is tied to a specific financial index which is used to determine the interest rate based on the current index and the margin (the markup the lender charges). Most NegAm loans today are tied to the Monthly Treasury Average, CODI (cost of deposit index), COSI (cost of savings index) in keeping with the monthly adjustments of this loan. There are also Hybrid ARM loans in which there is a period of fixed payments for months or years, followed by an increased change cycle, such as six months fixed, then monthly adjustable. Some borrowers use loans with negative amortization or deferred interest to get into a house they otherwise can’t afford. Usually they believe that they’ll have more income in the future. While the borrower does enjoy lower payments today, the cost of a negative amortization loan is that the borrower has to pay more later. Sometimes this can make sense for certain borrowers. Negative amortization or deferred loans can be useful if the borrower is primarily concerned with cash flow instead of building equity. If you only pay the payment rate, the overall monthly mortgage payment might be much lower than a typical 30-year, "no neg" amortization loan. Given this, negative amortization loans may be desirable if income is reduced for a period of time, or if the hold period is short term to minimize cash outflow.